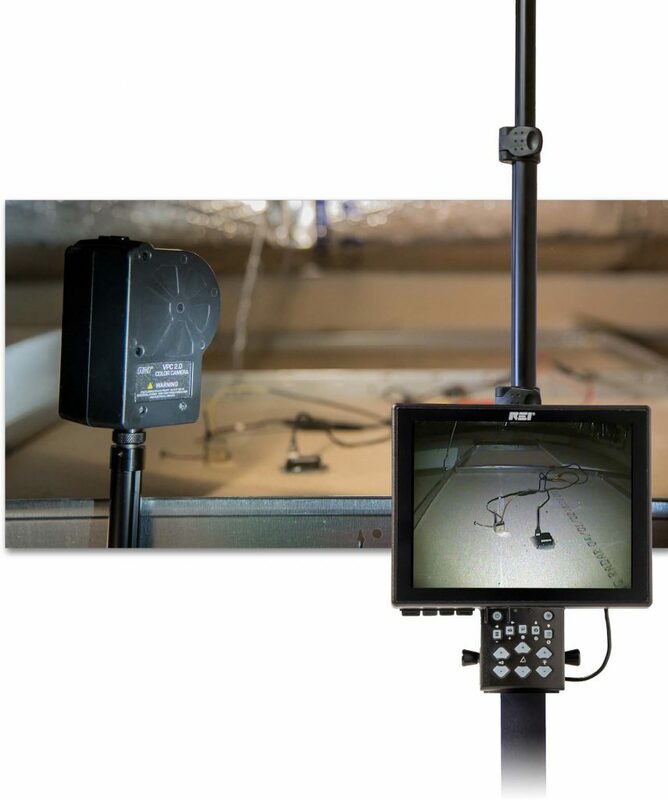 Research Electronics International is excited to release a new video pole camera – the VPC 2.0 – for investigating areas above drop ceilings, behind immovable objects, around corners or other difficult to reach areas, especially in dark environments. The VPC 2.0 includes a newly designed camera head with motorized >60° tilt. The standard unit offers the choice of a color camera head or a black and white camera head for covert or tactical IR applications. The camera heads can be quickly interchanged between the standard and extended pole available on the Deluxe model. Also, the color camera head features white LEDs for inspecting dark or low lit areas while the black and white camera head includes IR LEDs, both of which can be brightness-controlled by the user. The new 8 in (20.3 cm) tilt-able LCD color display records 600 x 480 resolution video to a micro SD card for playback or analysis on another device. The video files, which can be recorded in 5, 10, 30, 60, or 120 second lengths, are saved to a 25fps MPEG file for playback. The VPC 2.0 also offers still image captures saved as JPG files with a 720 x 480 resolution. If additional viewing and listening options are needed, the VPC 2.0 includes video and audio output jacks. Powering the VPC 2.0 is a single Li-Ion battery with a typical run time of 5 hours and an internal charge time of 3 hours. Units come with 2 Li-Ion batteries when they purchase the standard VPC 2.0 package allowing for longer operational time. The Deluxe model includes an additional 150 in (381 cm) extendable pole, a 2nd camera head, and an external battery charger. The LCD display can be quickly removed and attached to either the short or extended pole depending on situational use. With the weatherproof body and durable hard shell portable case, the VPC 2.0 is a great addition to any security professional’s arsenal of products.